I'm in the market for a good first pair of FPV goggles. The Fat Shark Attitude V3's are at the top of my list and a bit over budget. Whats Flite Test's opinion on the new Eachine GogglesOne? The specs look impressive for $150! I also like the versatility of having goggles and a monitor all in one device!! look similar to the headplay hd's? These are the new version of Eachine's goggles and are still $100 less than the Headplays. Also Eachine has two other models with HD goggles starting at $80 from Grayson Hobbies and some other suppliers. Its nice to have "HD" resolutions that high but the cameras and TX's are still just breaking into the 800x 600ish range let alone into 720p. What will that do visually forcing a low res picture onto a hi res device? I would think it would be like playing an 8 bit sega / nes game on a computer using an emulator. I'm all for the mine craft thing but I don't think I could fly like that with blocks of a picture that large. 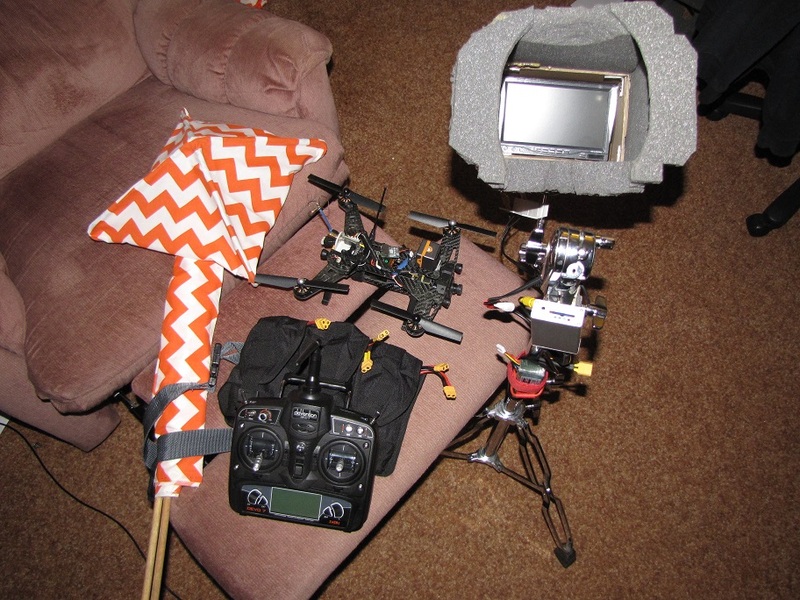 I basically did what head play and I assume Eachine has done using a boscam diversity monitor and making a foam hood for it to block out light and to keep the same focal point every flight. I just mount mine on an old drum cymbal stand with a boom since my neck wont support the weight after having it fused. You can see mostly how I did it in this picture.